Water based, quick drying oil, suitable for all solid wood worktops. Conforms to the UK Articles in Contact with Food Regulations. Approx coverage 6m2 per litre. Rustins Worktop Oil 500ml is rated 4.5 out of 5 by 15. Rated 3 out of 5 by Antonio El Blanco from Kitchen worktop oil. It’s a bit on the thin side. Yes it’s quick drying, but it’s really watery. Not sure if it will be durable enough to used for regular maintenance. Probably extremely good for the first few coats when wood is new. Rated 5 out of 5 by Karl295 from good stuff used this on sanded down worktops, great finish. Rated 5 out of 5 by martinsue from Martin I have used other worktop oil products before but this is the easy one to use. it's like water so application is quick and easy. the finish is good too.Just have to see how it lasts now. Rated 5 out of 5 by John25 from Just the job. Recently had our kitchen refurbed and the fitter recommended this oil so I purchased it . It goes on well and makes the wood tops look great. Rated 5 out of 5 by Jackthegripper from Really good product I've used this for a couple of years now. All other products I used took many hours to dry and often left a sticky residue. 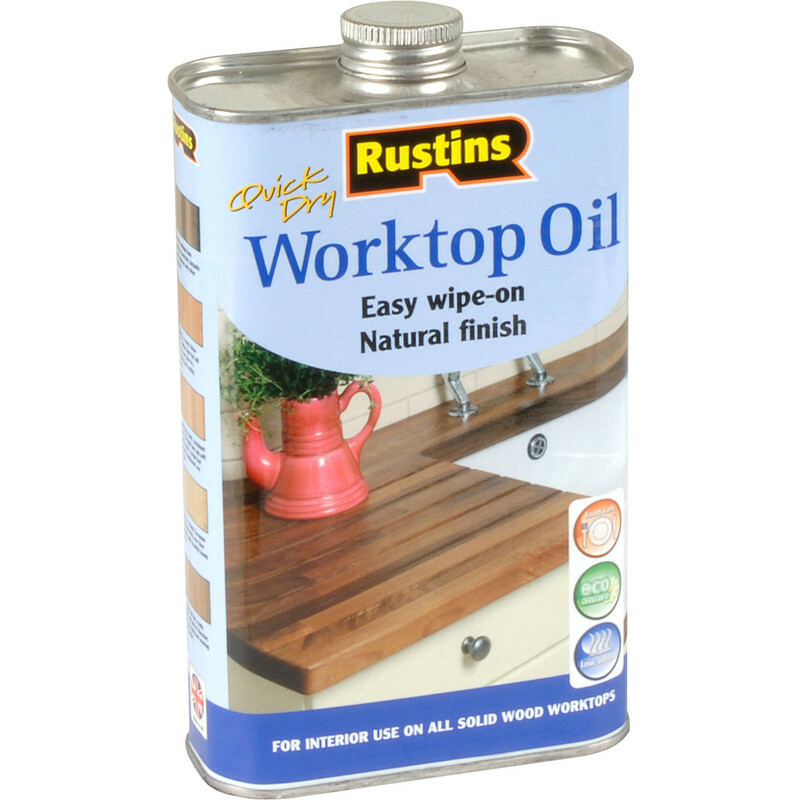 Rustins Worktop Oil is water based and dries quickly to a long lasting satin finish. After applying the finish feels slightly rough but this disappears after wiping down the worktops a couple of times. I'm very pleased with this product and will continue to use it.